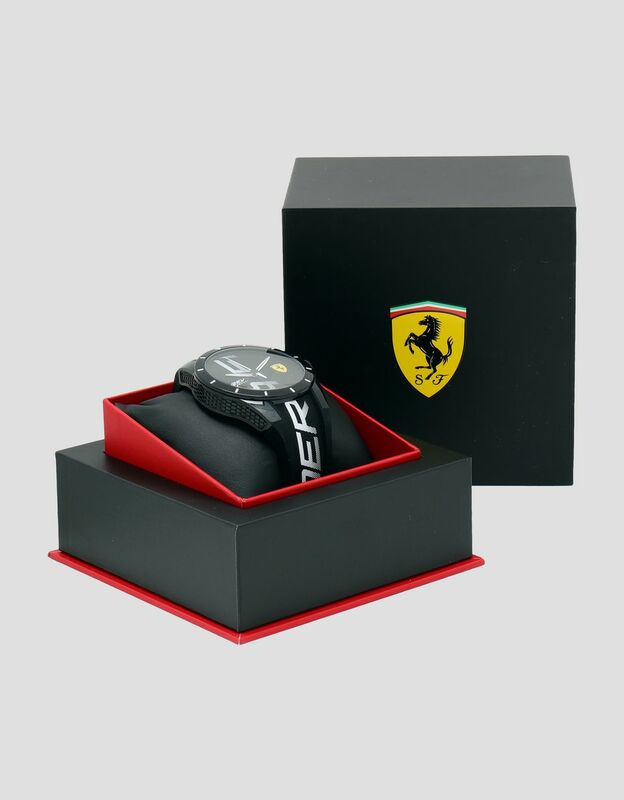 A streamlined silhouette and the unmistakable honeycomb motif make up the new Scuderia Ferrari watch, part of the Red Rev line. 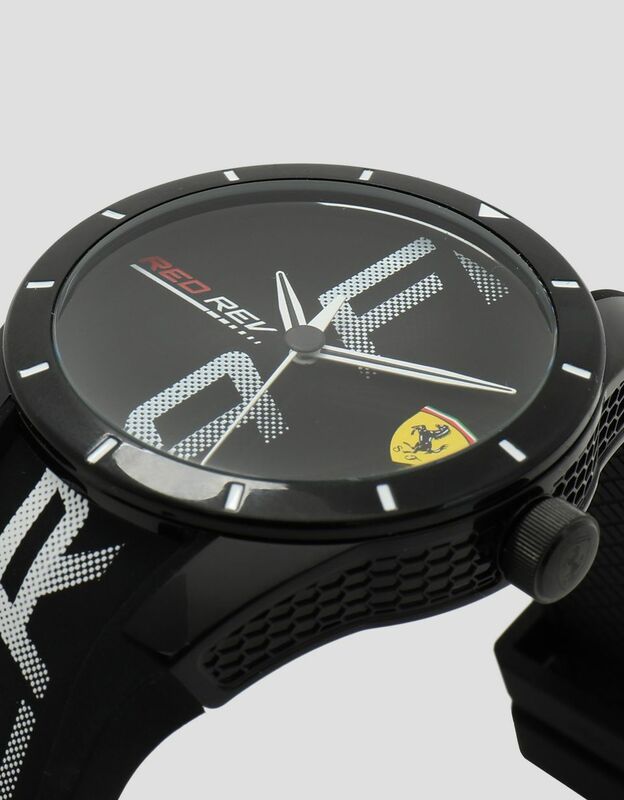 A concentration of adrenaline and racing passion, the Red Rev watch stands out for its honeycomb motif on the side of the case, recalling the frame of the single-seaters. 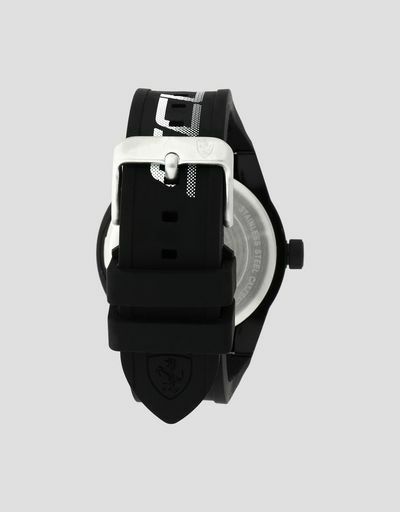 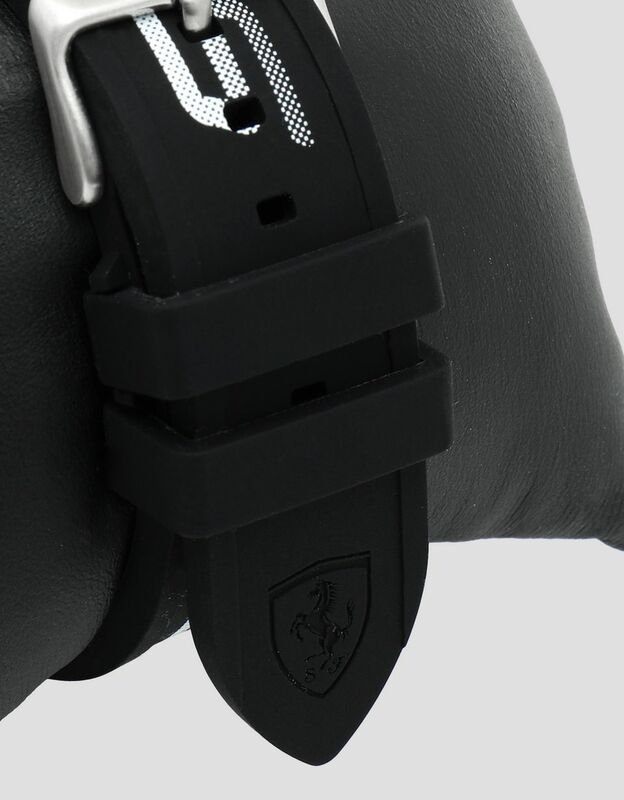 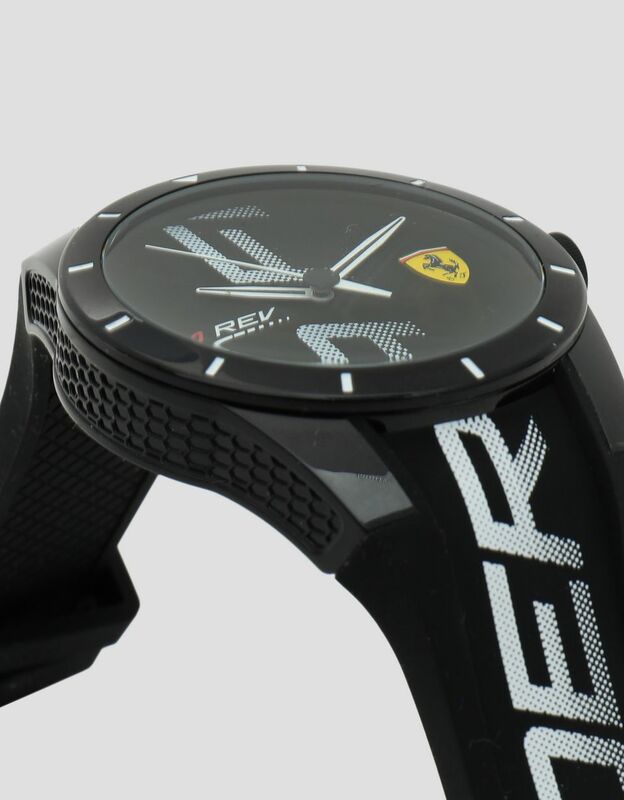 The new version of the Red Rev is characterized by the large Scuderia Ferrari logo that spans the entire width of the large black face and strap, evoking the speed of the race cars. 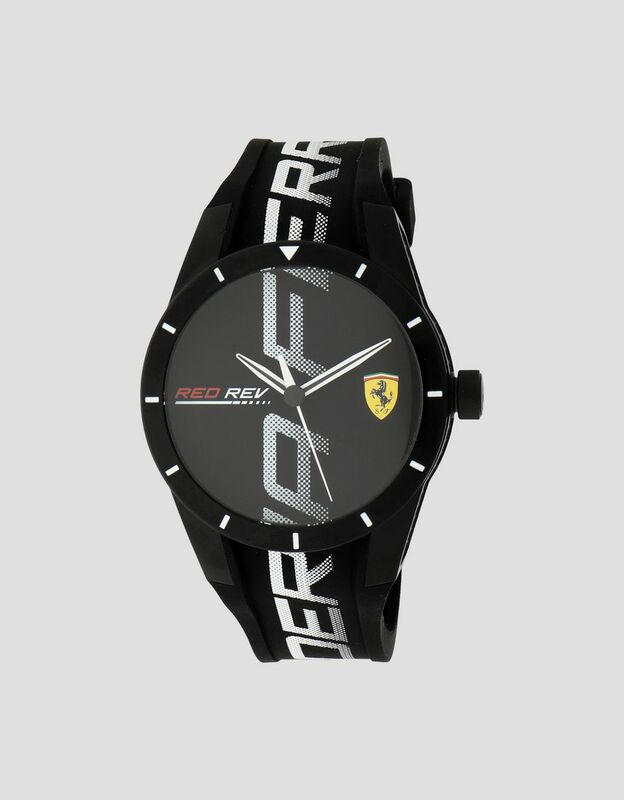 The Red Rev watch with black case and bezel comes with a silicone strap, also black and enhanced with a contrasting white logo and detailing.